When Abraham set out from Egypt, Lot also went with him. At that time, Lot was also very rich with huge flocks, tents and servants. Abraham also has a big flock of sheep, cattle as well as menservants and maid servants. The land they are staying is too small. It did not have enough space to support both Lot and Abraham’s possessions. 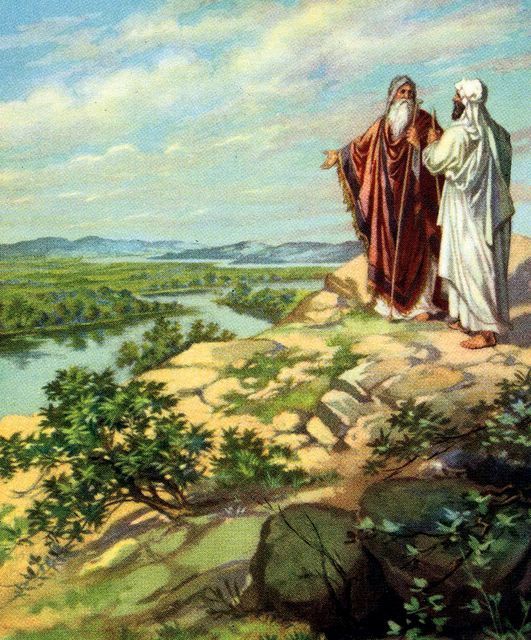 Lot looked across the land and saw that the land of Jordan is well watered just like the Garden of Eden. This took place before God destroy the sinful city of Sodom and Gomorrah. And so Lot chose the plain of Jordan in the east and pitched his tents as far as Sodom. But Abraham decided to stay at Canaan. Abraham and Lot are separated from each other now. The inhabitants of Sodom are very wicked and sinful against the Lord. All kinds of evil can be found in Sodom including robbery, prostitution, idolatry, and immorality. Then Abraham moved to a place by the tree of Mamre in Hebron and pitched his tent there.